Currently, the SEAGO Area Agency on Aging provides evidence-based programs and workshops for members of our community who are 60 years or older. For more information, please contact our Health Promotions coordinator, Shi Martin at 520.432.2528 Extension 206. This program is a series of 6 FREE workshops that help individuals or their care givers manage their chronic illnesses. Anyone with a chronic condition such as diabetes, arthritis, heart disease, asthma, or any other on-going health condition can participate. The Healthy Living Program in Arizona is sponsored by the Arizona Living Well Institute and is based on the Chronic Disease Management Program developed by Dr. Kate Lorig at Stanford University. For more information and workshop schedule please contact healthyliving@cochise.az.gov or visit their webpage. 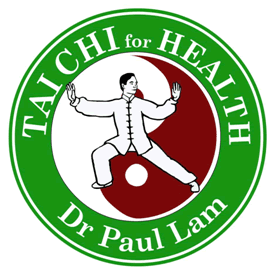 Tai Chi Classes are 16 sessions consisting of twice a week for 8 weeks in one hour sessions. Tai Chi is a gentle exercise that combines breathing, slow movements and focused attention. It is sometimes called Meditation in Motion. It can help prevent falls by improving strength and balance while also reducing stress and improving posture. This class is beneficial for all ages and fitness levels. For those with physical challenges, the movements can be done seated or with a chair for balance. Classes will be led by Tai Chi for Arthritis and Fall Prevention instructors, certified by the Tai Chi for Health Institute. This program is recommended by the Arthritis Foundation and the Center for Disease Control. This award winning program is designed to reduce the fear of falling and increase the activity levels of older adults who have concerns about falls. This program utilizes trained volunteer coaches to teach the eight two-hour sessions.